Many times we are in need of random data. Suppose, if you are doing some tutorial on Excel formulas, then we need to have random data in your Excel sheet. There are many situations in the same way and when we are in need of some random data, we generally use some websites that helps in random data generation. As I told earlier, we can generate random data in Excel without use of any website. Two formulas RANDBETWEEN and CHOOSE helps us for random data generation. We will see how we could do that easily. 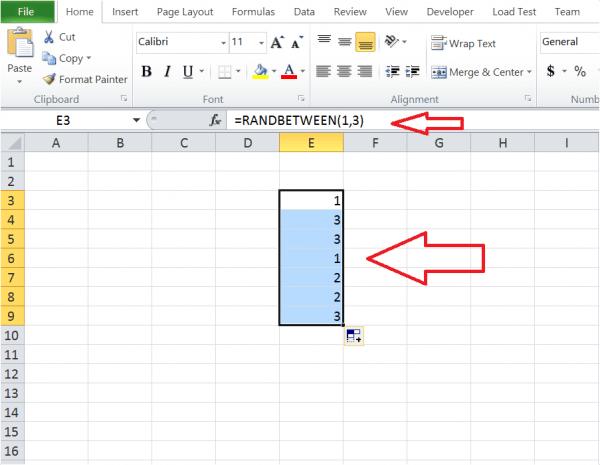 Combination of RANDBETWEEN and CHOOSE functions in Excel, could generate random data as you want. Index_num is required and specifies which value argument is selected. Value1, Value 2 , … specifies the values to be returned based on the provided index_num. Suppose, if you give CHOOSE (2,”ONE”,”TWO”,”THREE”), then this returns “TWO”. It is similar to fetching out the value from the array based on the index provided. Isn’t this awesome? This really saves you much time to generate random data and that too in the way you want. This again proves that Excel can be used to do anything we want. If you have anything to add, please do share with us through comments. 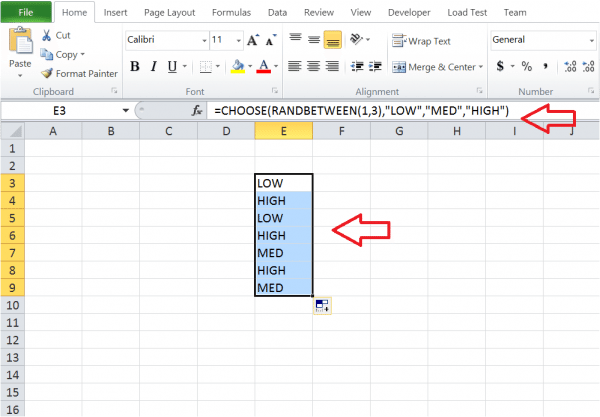 Start using RANDBETWEEN and CHOOSE in Excel. As choose and randbetween naturally give a fairly even spread of results, is there any way to control whether one option appears more than others?